A major thrust of the lab’s current research program is an exploration of how permafrost thaw affects the flow of biogeochemical constituents between land and aquatic environments. This work includes understanding changes in nutrients flows, the biotic and abiotic fate of organic carbon, and changes in inorganic constituent fluxes and weathering. 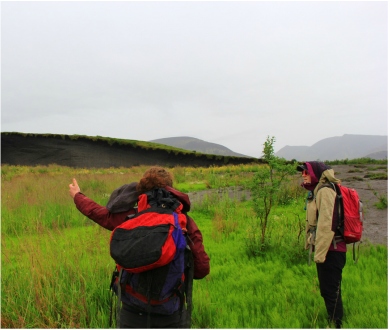 Past work in this area has included exploring how inorganic and organic carbon fluxes change with permafrost thaw at the landscape scale throughout the pan-Arctic region. Currently, we are exploring the effect of permafrost thaw in upland regions of the western Canadian Arctic.